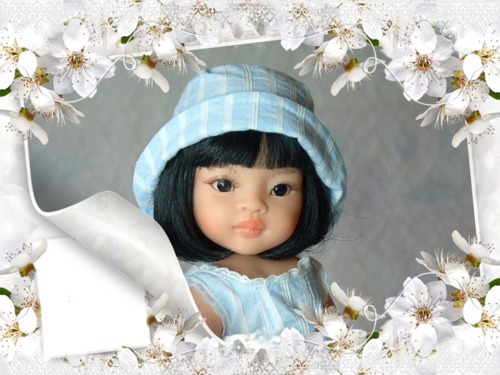 Little Liu is one of the 13″ (32 cm) Las Amigas dolls by Spanish company Paola Reina. These very attractive little dolls arrived in the UK in 2014 and have proved very popular with collectors. They are beautifully made and have real character. I really had no intention of branching out into smaller dolls. 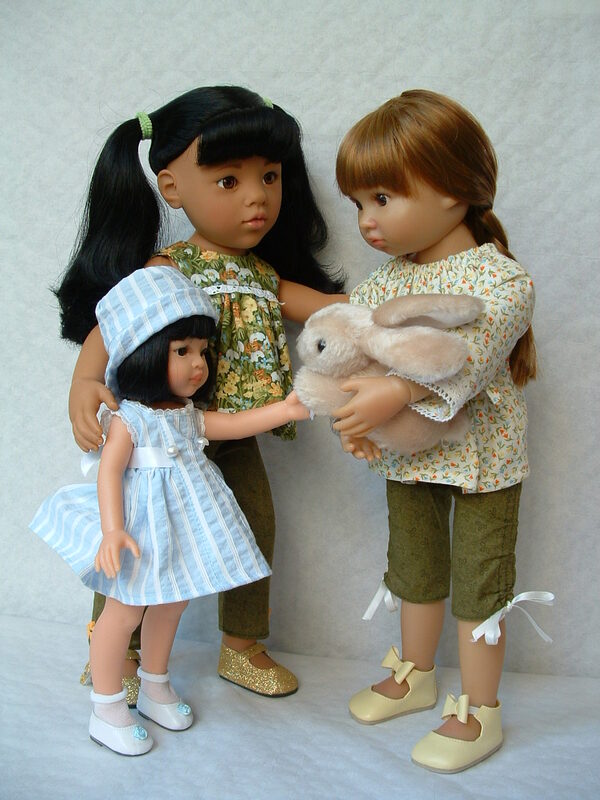 Kit’s Couture specialises in clothes for American Girl and other 18-20″ dolls, and I didn’t really want to dilute that. But these dolls were so darn cute! How could I not add one to my collection? Choosing one of these sweethearts is tricky, as they are all so appealing, but Liu stood out for me. 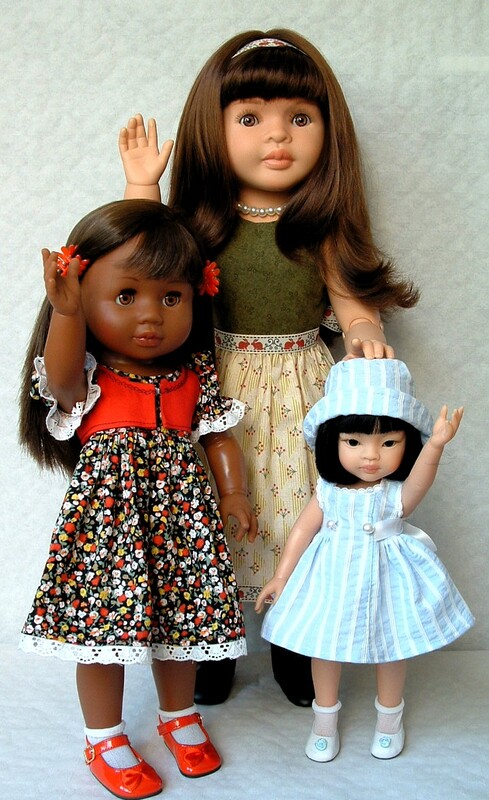 I like cultural diversity in my dolls, and it seemed to me that Asian Liu would make the perfect little sister for Meili, my Asian Hannah by Gotz. Like all the Paola Reina dolls, Liu is well-modelled and beautifully dressed. Apart from her slight and frankly incongruous little bust, she’s shaped like a little girl and stands with a tummy-sticking-out backwards curve which is characteristically little-girly. She has just five swivel joints, which make for a limited (but incredibly cute) range of movement. Her meet outfit in ice-blue and white is very well-designed and constructed – Paola Reina is excellent in this regard – and the colour is just right for her Winter clothing season. So although Liu is smaller than the rest of the Kit’s Couture team, she was just too adorable not to be included, and I’m sure that her cute quotient alone will ensure she earns her keep. Let’s finish with a photo of my three Paola Reina girls: Las Reinas Lidia, Soy Tu Jamila, and Las Amigas Liu. Liu kept firmly in check by Lidia – just stand still, Liu!